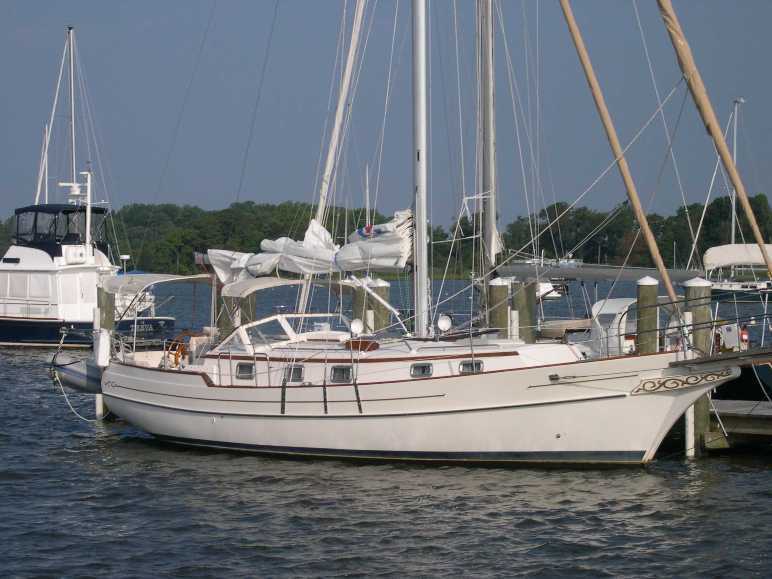 Endurance 37, ferro cement, a long distance cruiser or liveaboard. Built in 1981, current owners have used her as a liveaboard for the last 13 years who have cruised her extensively in West Coast of Scotland. Professionally built Ferro-cement Endurance ketch built at Benbridge Boatyard (Isle of Wight) in 1981. She is a fine example of ferro construction, much admired by all. She was commissioned to a high standard build for a circumnavigation which she successfully completed after her launch in the Eighties. She was built using teak throughout, including locker framing and full teak decks. 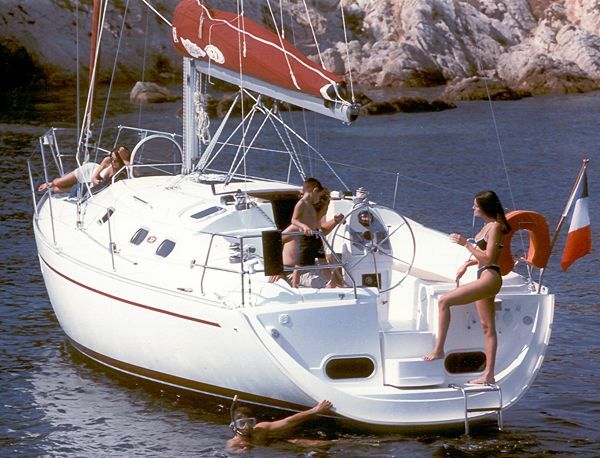 She was fitted with a new Perkins 404C 50hp engine in 2007. New stainless steel rigging fitted in 2012. She has a solid fuel stove fitted with central heating from a back boiler, 220watts of solar panels with an inverter to enable 240v power. Making her a fantastic liveaboard vessel. Sails are old but in working condition, for both masts, the hull is in need of a paint job and there are areas of the cockpit in need of attention in her plywood, along with spots of the deck needing attention too. 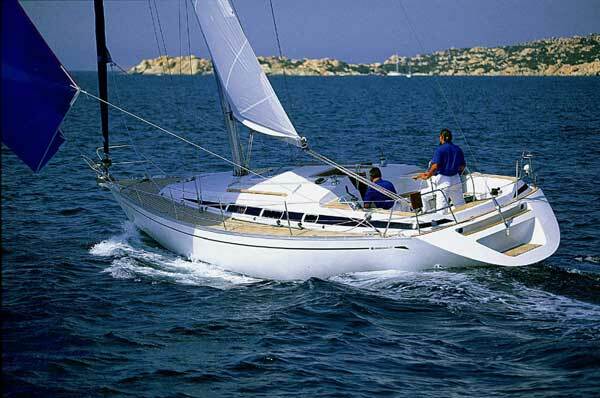 Fancy free is a very strongly built boat, her hull is in very good condition and structurally she is completely sound. The structural framing of the boat, even the frames of the inner lockers is entirely of teak in good condition. However, the marine ply structure of the cockpit and the bulkhead between cockpit and saloon has a fair amount of rot in it. I have cut out all the rot I could find and inserted new marine ply and filler, this should keep her structural integrity for at least a couple of years, but ultimately a more comprehensive repair will need to be carried out. The teak deck was completely recaulked when we bought her and any defects rectified. However in subsequent years patches of rot have appeared in the teak, these are obvious as I have treated them with wood hardener as a temporary fix to stop further degradation and leakage through the deck. The engine was new in 2007 and although we have no record of the working hours they are fairly low. It is a totally reliable engine and always starts first time, it has always had regular annual filter and oil changes. The sails are old but quite serviceable, could benefit from a valeting. As a live aboard she is very well organised, she is self-sufficient in DC power having 120W solar panels and an inverter for AC power. A Boatman wood burner with back boiler provides central heating throughout. The calorific supplies hot water when the engine is used but the mains element needs replacing. Running water is supplied via a foot and electric pump. All skin fittings and seacocks were replaced just after we bought her and are still all in good working condition. In the thirteen years we have owned her she has been in continual use cruising and as a liveaboard, no prolonged periods of stagnation. When all repairs are carried out she would be an excellent live aboard or world cruiser, she has previously done a world circumnavigation in her early years. We will be really sad to see her go but old age has got the better of one of us..
Engine hours approx 100, no engine hour metre. This is the owner's estimation. Age of all sails is unknown. Owner has stated they are old but serviceable. 6 x Winches,some 2 speed some single speed Primary's are two speed. All Lewmar. 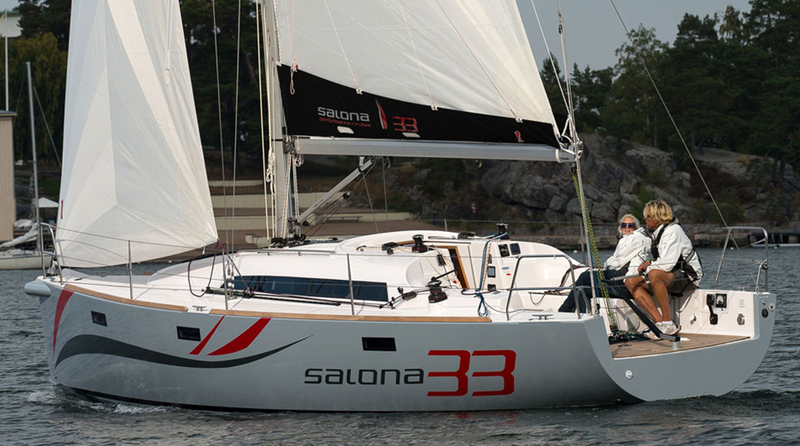 Sleeps five in three cabin, comprising of one double and three single berths. Large, spacious saloon, stepping down to mid cabin with heads then forward to starboard, two single bunks, then on to for'cabin with large double. Plastimo 2 burner gas cooker with oven and grill. The shower is not connected, there is pipework, but no shower.